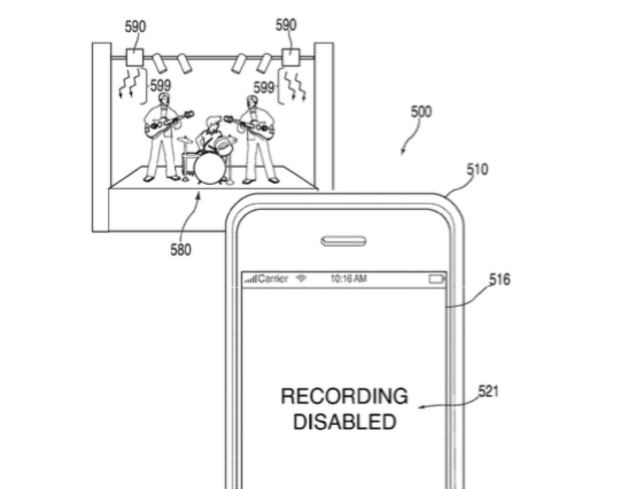 Yep, Apple has just received a patent which could regulate your ability to take pictures and video with your iPhonein certain areas like concerts or museums.Artists have been telling fans to put their phones away for years, but this new tech might actually be the deterrent needed to effect change. However, on top of forcing an audience to be in the moment and keep their phones away, the number of leaks and live rips of unreleased music is sure to take a hit, which is certainly an added benefit, if not the main reason, for regulating camera usage. And these infrared emitters can do much more than just shut down your phone’s camera function; they can interact with your phone to display information and other details about an object or space to enhance an experience.